"Why does ASU lack an multicultural center?" Illustration published on Sunday, Nov. 18, 2018. To her surprise, at one of the largest universities in the country, there was not one to be found. This was a major concern for Tekola, considering all of the schools she attended in the past had the resource she said is a vital asset to the success of minority students. Tekola formed the Multicultural Solidarity Coalition in 2015 with the goal of pushing for a multicultural center on campus, as well as having, what she described, as a space for discussion of racism and discrimination. “ASU is missing a critical component to ensure that the campus is not only a safe space (for minority students), but to ensure the success of underrepresented minorities,” Tekola said. Diversity and inclusion are some of the key points that the University emphasizes when advertising to prospective students. In the University’s charter, ASU refers to itself as a, “a comprehensive public research university, measured not by whom it excludes, but by whom it includes and how they succeed." The 2018 freshman class set a University record by being the most diverse freshman class to date, with 39.4 percent of students coming from minority backgrounds. ASU currently has more racially diverse students than ever before. With a consistent exclamation on diversity coming from ASU and a growing amount of minority students, why does it lack a multicultural center? Associate dean of students for off-campus student services, Ronald Jackson, said all of the University is modeled to be a multicultural space, meaning the entirety of the school's campuses are supposed to act as an open and welcoming place to students of all backgrounds. Jackson said a multicultural center, though a well-intended idea in the abstract, can actually isolate minority students and lock their concerns into a single space. "We value all of our spaces being inclusive spaces. The model of multicultural centers sometimes has a negative impact, but good intentions,"Jackson said. "What happens in some of those spaces is they become the place where all multicultural activity, sensitivity and understanding happens, and then no one else has to create that type of space in their academic department or building, and that just goes against our charter." Instead of a multicultural center, ASU offers a number of both staff and student-operated resources. Jackson said some of the resources and cultural engagement opportunities are run by students. "The fun thing about it is that is it student-involved, student-engaged, student-driven, and the staff support it," Jackson said. "The students pretty much come up with their own design, their own ideas, what they want to do, and we basically support that and make sure we put it in place where they can actually celebrate their different cultures." While student engagement and volunteering is beneficial in many ways, Tekola said the fact that these resources are student-run instead of led by professionals makes her question how much the University wants to invest in assisting minorities. “All of the other universities I have been to, the university standard is you get professionals. We are worth it, we are worth the staff to ensure our success,” Tekola said. The Office of Inclusion and Community Engagement is a non-student led office that helps guide students, mostly nonwhite, in areas of teaching, learning and governance. Tekola cites this office as doing “all the work of a multicultural center,” and according to its website, the office is staffed by two people. The University, however, does offer multiple ways for minority students to receive mentorship and support. Dean of Tempe students, Joanne Vogel, said a resource that does not get a lot of attention is the ASU Mentor Network. This is a website created to connect students to mentors based on not only academics, but also race and ethnic background. Vogel said that ASU, in comparison with other universities she’s worked for, has a wide array of resources for minority students to explore. “ASU has a robust offering (of resources). I have been impressed from the moment I got here,” Vogel said. However, beyond these resources, Tekola said the overall campus atmosphere at ASU is something that can make minority students feel unsafe, citing that a white supremacist group hung posters around the Tempe campus. When asked about these posters, Vogel said that it is often hard to catch people who hang such posters around campus, especially if they are not part of an ASU-affiliated organization. Jackson pointed out that ASU has a Situational Response Team dedicated to addressing such instances of flagrant racism or discrimination. Nonetheless, Tekola said the very presence of these posters and the typically anonymous people who put them up is evidence in favor of the need for a dedicated multicultural center. In a discussion forum with President Michael Crow on Sept. 20 at the downtown Phoenix campus, multiple black students questioned the University’s president on ASU's efforts to ensure the inclusion of students of all cultural backgrounds. Those who spoke pointed to what they said was a lack of inclusion in the Greek Leadership Village. The GLV, which houses over 900 fraternity and sorority members, did not include any multicultural Greek organizations in its 2018 opening. Multiple black student organization leaders expressed that they believe this exclusion is a representation of some underlying race issues within the University. President Crow cited the issue as a mishap in communication and vowed to reconfigure the GLV for the next leasing cycle in order to include multicultural fraternities and sororities. However, many members of multicultural organizations on campus feel that the problem regarding exclusion of minorities is more widespread. Armonee Jackson, communication junior and vice president of the National Association for the Advancement of Colored People at ASU, said the situation with the GLV is a representation of the overall treatment of minorities at the University. Vogel said any issues minority students have on campus should be reported to a staff member, and they will try their best to accommodate. "It has been unfortunate and sad to listen to students all around that they feel unwelcome or unsafe," Vogel said. "At any point, if any students are feeling unsafe, unwelcome or not supported, we want to know." Tekola maintained that the best way to ensure safety and inclusion is a dedicated multicultural center on campus. “As ASU becomes more diverse, it is going to increase the need for a multicultural center and an overall better understanding of what inclusion and diversity really mean,” Tekola said. 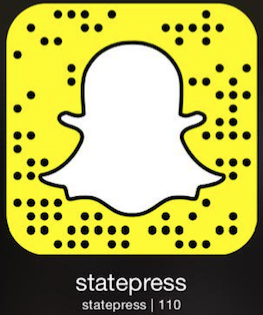 Reach the reporter at mmbarbe3@asu.edu and follow @meganbarbera on Twitter.